One of these days, but not right away, this lot on Albany’s Third Avenue S.E. may or may not hold eight townhouse-style apartments. That’s what I got out of a long discussion Wednesday by the advisory board of the Central Albany Revitalization Area. In 2015, CARA granted developers Scott and Spencer Lepman a forgivable $336,000 loan toward their project to renovate the Fortmiller Building at 420 Third S.W. as apartments. Part of that project was to build four attached apartments next door. Then the Lepmans and the city discovered that setback provisions in the development code did not allow the four units to be built, and the Lepmans offered to build eight units at 224 Third S.E. instead. CARA amended the loan deal to that effect and also contributed to a planning effort to change the development code Those changes were adopted, but then another code provision popped up to prevent both the four units on S.W. Third and the eight units on S.E. Third. The code requires 6-foot-wide maintenance easements on adjoining properties when buildings extend to the property line in commercial districts, as these housing developments would. But for one reason or another, involving incomplete probate in one case and a possible property sale in the other, the required easements could not be obtained and the apartments on S.E. haven’t been started, let alone completed by the end of this year as required by the amended grant. Stymied, the Lepmans asked CARA to “encourage the planning staff to resolve” the easement requirement. They also asked for an extension of the completion deadline in their CARA agreement — one year in case they go ahead with the four apartments next to the Fortmiller Building, two years if they decide to build the eight units on S.E. Third. On Wednesday CARA, and the city council as the urban renewal agency, approved the time extension, to start from when the easement rule is no longer an obstacle. When and if one of the apartment projects is finished by the new deadlines, the CARA loan on the Fortmiller project will become a grant. Councilman Mike Sykes offered a quick solution: Have the council amend the development code to allow for variances in cases like this, where unforeseen code complications stall projects that everybody wants, such as apartments to increase downtown housing. Sykes didn’t get an answer to his suggestion. But he said he would pursue it. They said the 12 new dwellings they would like to build would add $3.3 million of value to the downtown urban renewal district. Years ago, the Lepmans got CARA help to convert an old seed warehouse off Water Avenue into the Jefferson Loft apartments. Now, without CARA involvement, they are renovating the Spruce Apartments they own on First Avenue. After that, they’ll probably tackle converting the former post office and city hall at Second and Broadalbin, which they also own. I guess I will leave it to the expert, Mr. Woods, to tell us the delay is caused by state regulations. It couldn’t be caused by the City of Albany. productive. Another good example is the speed zone controversy near S. Albany HS. Unanticipated consequences are inevitable but are exacerbated by “Progressive” urges to mandate every possible issue. And we should also leave it to Mr. Woods to explain how giving $336,000 of taxpayer money to a wealthy developer makes sense when that developer certainly has the capacity to obtain private bank financing. Also, Mr. Woods should explain the morality of CARA’s skimming tax revenue from other taxing districts without the districts, or voters, consent. CARA then spends the money for a purpose never approved by voters. An Albany resident cannot legitimately take money from his neighbor like this, on what moral basis can CARA? Thankfully, Albany voters who truly love and care about the city recognized CARA’s immorality and changed the City Charter to require voter approval of future CARA’s. Once again Gordon, your attachment to reality is tenuous. Clearly, you’d be much happier living in some place like Honduras or Russia or North Carolina where following the law is often ignored. Hate to admit it, but I do agree with Gordon on one point that Bob conveniently ignored. Why are we funding a developer who could get other traditional financing? Took the words right out my mouth….touche. It’s about urban redevelopment. The whole point is to provide incentives to save deteriorated urban areas and make them economically and esthetically viable again. 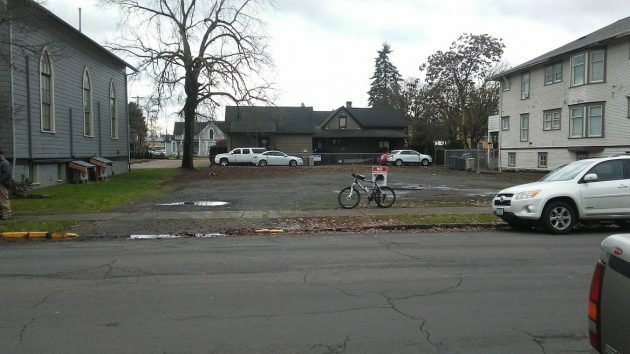 Albany also seeks to preserve the history of a key Oregon city. Unless Lepman is self-funding, which I doubt, he will be getting outside financing for his share of project costs. $336,000 is not close to what an 8-unit apartment complex will cost. One of many reasons to offer a subsidy is that developers find it far more profitable to do new construction where the land is cheaper and their ROI is better. When this UR district started virtually no one had been investing any money in downtown in decades because why put investment money into an area that is dying? So you set up a district and provide economic incentives to get things moving. When the district dissolves in a few years, those incentive programs go with it. You see, that’s the way they set them up: Limited in time and area specifically to be used in. Then they die. All you have to do is remember downtown in 2000 and downtown today. It is a smashing success. IT WORKS! The lender for the project was at the meeting, because, there were concerns that without the extension, the funding for the Lepman project would not be forthcoming. I asked the lender point-blank if granting the extension would mitigate their concerns. Lender stated it would do so. Once again Woods ignores the local issue of voter approval. And Woods’ attempt to explain the $336,000 giveaway to a wealthy developer is pathetic. Lepman and his bank have the capacity to do this project without taxpayer money. Did CARA even question or challenge Lepman’s request? Handouts like this can’t be justified as anything other than welfare for the rich. Shameful. California gave birth to urban renewal and its accompanying tax-increment financing many decades ago. California has now outlawed new urban renewal districts, because the taxpayers can’t get out from under the debt incurred by it for many more decades to come. As someone wrote to the editor the other day, urban renewal (CARA in our case) wants downtown Albany to be for the elite so property taxes will rise and remain high and CARA can skim money off the top of them. Ordinary people cannot afford to shop or dine in downtown Albany. CARA and the Council and City Planners had an opportunity for apartments in the old Hotel on First Street and turned it down flat, as they don’t want working people or students or poor people downtown. “Large scale urban renewal projects in the US started in the interwar period as an attempt to clear out blight inner cities. Prototype urban renewal projects include the design and construction of Central Park in New York and the 1909 Plan for Chicago by Daniel Burnham. Similarly, the efforts of Jacob Riis in advocating for the demolition of degraded areas of New York in the late 19th century was also formative. The redevelopment of large sections of New York City and New York State by Robert Moses between the 1930s and the 1970s was a notable and prominent example of urban redevelopment. Moses directed the construction of new bridges, highways, housing projects, and public parks. The Housing Act of 1949, also known as the Taft-Ellender-Wagner Act, provided federal loans to cities to acquire and clear slum areas to be sold to private developers to redevelop in accordance with a plan prepared by the city (normally with new housing), and grants to cover two-thirds of the portion of the city’s costs in excess of the sale prices received from the developers, as well as provide millions of dollars to create public housing throughout the country. The phrase used at the time was “urban redevelopment”. “Urban renewal” was a phrase popularized with the passage of the Housing Act of 1954, which made these projects more enticing to developers by, among other things, providing FHA-backed mortgages. Hasso, Tax Increment Financing is a funding method, not a program to revitalize decaying areas. Yes, the state sanctions legalized theft. But that has nothing to do with voter approval. That is a local issue and Albany citizens spoke LOUDLY that they want the last word on this issue. But Woods ignores what he doesn’t like, kinda like the Mayor and most on the City Council. What ever happened to “Due Diligence”? Why did it take so long to find something that apparently was in the code when CARA okayed the project? Because CARA is a redevelopment agency that looks at proposed projects submitted for funding, not the enforcer of Building Codes. Building codes come into effect when a building plan is actually submitted. So what do you propose? Just ignore that there are no easements in place to insure that the new building owner can make repairs on their property? Do you think that if that occurred someone just might sue the city for allowing a building to be constructed where the owner has no legal right to access to do maintenance? Woods evidently believes CARA is a rogue organization that makes decisions without input from city staff. And he asserts, again, that it’s a state issue, not a local issue. Nonsense. That sounds like a good proposal with a local solution in mind. But Woods is more committed to deflection than actual problem solving. It’s not a good proposal. You waive the need for an access easement to maintain your property. A windstorm or earthquake happens and a wall is damaged, or maybe all you need to do is repaint the siding, and you have no easement. You go to the neighbor and say, “Hey, I need to use your yard to fix my house.” and the neighbor says, “Sure, that’ll be $25,000 to use it for 3 weeks.” Not having that easement, you have no choice but comply or lose the use of your property. (1) “Easement” means a nonpossessory interest in the land of another which entitles the holders of an interest in the easement to a private right of way, embodying the right to pass across another’s land. 105.175 Easement to be kept in repair; sharing costs; agreements. (1) The holders of an interest in any easement shall maintain the easement in repair. (2) The cost of maintaining the easement in repair shall be shared by each holder of an interest in the easement, pursuant to the terms of any agreement entered into by the parties for that purpose or any recorded instrument creating the easement. Any such agreement, or a memorandum thereof, shall be recorded in the real property records of the county in which the easement is located. Failure to record the agreement shall not affect the enforceability of the agreement among the parties to the agreement and any other person with actual notice of the agreement. (3) The cost of maintaining the easement in repair in the absence of an agreement and in the absence of maintenance provisions in a recorded instrument creating the easement shall be shared by each holder of an interest in the easement in proportion to the use made of the easement by each holder of an interest in the easement. (a) The frequency of use and the size and weight of vehicles used by the respective parties are relevant factors. (b) Unless inappropriate, based on the factors contained in paragraph (a) of this subsection or other relevant factors, costs for normal and usual maintenance of the easement and costs of repair of the easement damaged by natural disasters or other events for which all holders of an interest in the easement are blameless may be shared on the basis of percentages resulting from dividing the distance of total normal usage of all holders of an interest in the easement into the normal usage distance of each holder of an interest in the easement. 105.180 Action for failure to comply with duty of holder; recovery of costs; arbitration. (1) If any holder of an interest in an easement fails to maintain the easement contrary to an agreement or contrary to the maintenance provisions of a recorded instrument creating the easement or, in the absence of an agreement or recorded instrument imposing maintenance obligations, fails after demand in writing to pay the holder’s proportion of the cost as indicated in ORS 105.175 (3) and (4), a civil action for money damages or specific performance or contribution may be brought against that person in a court of competent jurisdiction by one or more of the other holders of an interest in the easement, either jointly or severally. In any such civil action, the court may order such equitable relief as may be just in the circumstances. Nothing in ORS 105.170 to 105.185 shall impose a maintenance obligation on the holder of an interest in an easement based on the maintenance provisions in an instrument creating the easement if such holder is not a party to such instrument, whether the instrument is recorded or not, after such holder ceases to use the easement. (2) The prevailing party shall recover all court costs, arbitration fees and attorney fees. As usual, very spot on Bob… Had the property owners been willing to grant an easement, this could have concluded looong ago. At inception of the original agreement, both sides presumed it would much easier to accomplish – hence the *unanimous* vote of CARA/ARA to grant the extensions requested. That gives everyone a good opportunity to make it happen. GS is upset because nobody sought his permission. Not required. Others are wound because a rule issue is delaying things. The real problem is that an easement issue can’t be resolved until the adjacent owners can participate. Cool heads, working in the background, will resolve the issues.